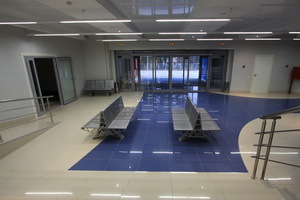 MIBS is the largest non-state medical organization in Russia, consisting of 95 centers of magnetic resonance and computer tomography in 69 Russian, Ukrainian and Armenian cities, video EEG monitoring departments, oncology clinic, and the first radiosurgery in the North-Western region. 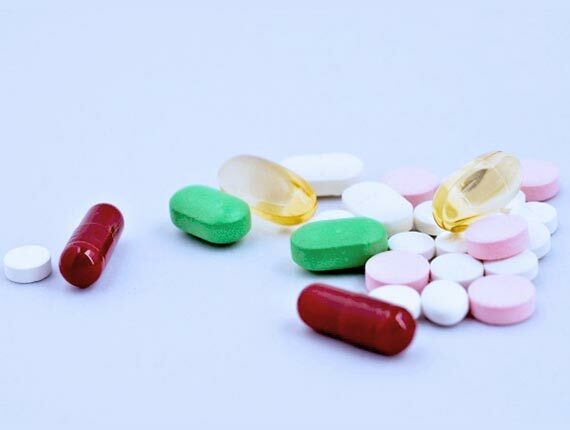 All regional diagnostic centers are connected in the united telemedicine network that allows transferring information to Saint-Petersburg. The total personnel include more than 2000 employees, among them there are over 400 physicians, including candidates and doctors of medical science. MIBS oncological clinic is located in rural settlement Pesochniy, which is a place of traditional concentration of leading oncological and radio surgical institutions. 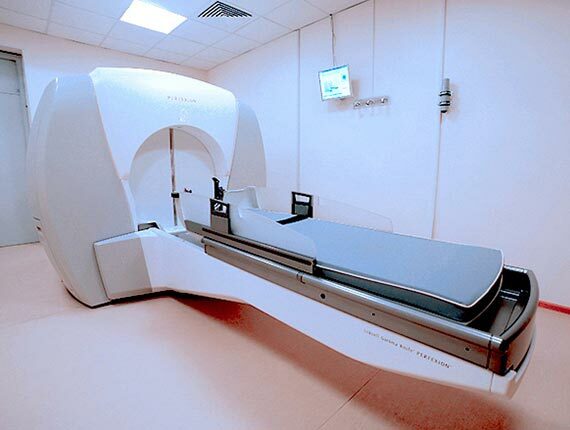 The clinic is equipped with a modern radio surgical installation unit Gamma knife (Leksell Gamma Knife 4C) manufactured by the Swedish company Elekta, a radio surgical installation unit Cyber knife, an innovative accelerator Varian True beam STx and linear accelerators, and includes Gamma knife and Cyber knife departments, a conformal radiotherapy department, X-ray department with computer and magnet resonance tomography rooms, a positron emission tomography department combined with computer tomography and in-patient facility with a surgical chemotherapeutic department. 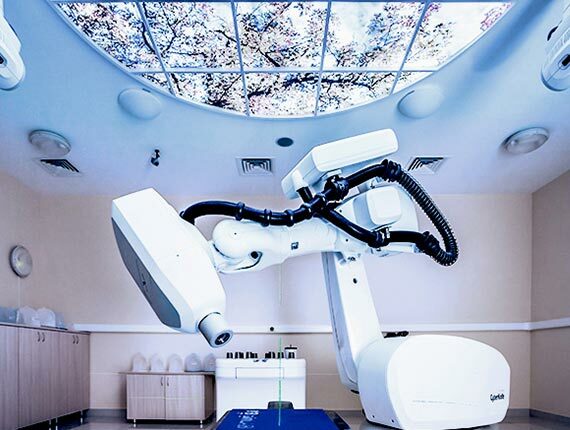 Since September 2017, the first in the Russian Federation and the CIS countries, the Clinical Center for Proton Therapy, which offers the most advanced radiation treatment for cancer, works as part of the MIBS Clinic. We own all opportunities for delivering of a modern high qualified radio surgical and radiotherapy treatment of patients with tumors of any location, vascular malformations and functional pathology. Qualified personnel: administrators, nurses, specialists (neurosurgeons, oncologists, radiologists and medical physicists) – have got solid working experience in such leading authorities of our country as Scientific research neurosurgical institute named after A.L. Polenov and Scientific research oncology institute named after N.N. Petrov, many doctors and medical physicists received long term training in world`s leading clinics. Active and effective collaboration in the field of neurosurgical patients treatment is performed with specialists of neurosurgical clinic of Military Medical Academy named after S.M. Kirov. Thanks to telemedicine opportunities the doctors of the radiosurgery center MIBS are able to get advice from European and Japanese leading specialists and make up a cooperative treatment plan of a certain patient. 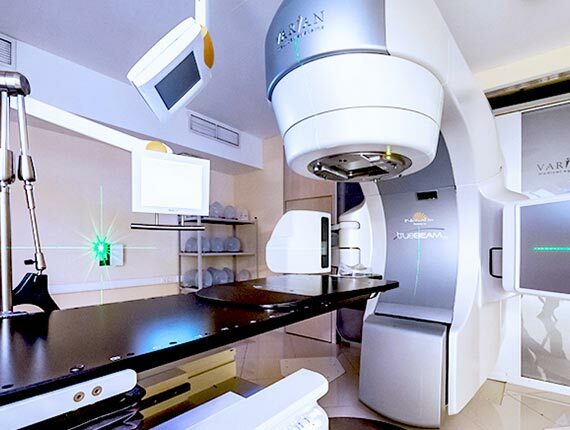 Treatment by the use of a stereotactic and radio surgical linear accelerator TrueBeam STx with functions RapidArc, SBRT manufactured by the company "Varian Medical Systems" (USA). Radiological method by the use of a high filed magnetic resonance and multispiral computer tomograph manufactured by the company Siemens (Germany), PET/CT. © Oncological clinic MIBS, 2019. Official site.